This year, visitors can take advantage of special discounts on hotels, restaurants and attractions, ensuring an enjoyable - and affordable – vacation trip. The following are a sampling of the many deals available this summer in celebration of Myrtle Beach Days. · Caravelle Resort – Book a stay of three nights or more during June and July at this newly-renovated resort and receive a $50 food credit, logoed item and a free upgrade when available. 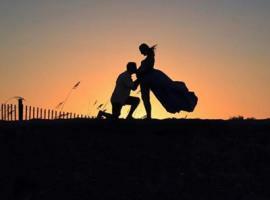 · Compass Cove Oceanfront Resort – Book today and save up to 40 percent off. 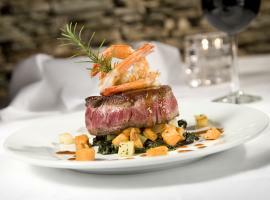 Receive a $20 daily food/beverage credit for each day of your stay. Valid May 28 through July 12, 2018. · Coral Beach Resort & Suites – Stay anytime between June 1 – August 31, 2018 and receive a $20 resort credit per day. · Grand Atlantic Ocean Resort – Save 20 percent off on peak summer season rates (valid June 15 -August 11, 2018.) Choose from a 1BR/1BA condo to 3 or 4 BR/3BA condos; all are oceanfront. · Hotel BLUE – Enjoy exclusive summer savings including up to 40 percent off of your accommodations plus two free waterpark tickets, a $50 food credit, $100 game card as well as access to all of the amenities at hotel BLUE and Captain’s Quarters when you book a three-night minimum stay. Valid June 1 – July 31, 2018. · Island Vista – Stay three nights and save 10 percent on stays from June 1 through July 31, 2018. Book this package and receive a free Beach Bundle tote. · Myrtle Beach Seaside Resorts – Book a stay at Myrtle Beach Seaside Resorts’ Avista, Grande Shores Ocean, Prince Resort at Cherry Gove or SeaSide Resort properties during June or July and receive 25 percent off of your stay plus receive unlimited free DVD rentals and tickets to select attractions. · Ocean Creek Resort - Enjoy savings up to 40 percent off of your accommodations plus two free waterpark tickets and a $50 food credit when you book a three-night minimum stay. Valid June 1 – July 31, 2018. 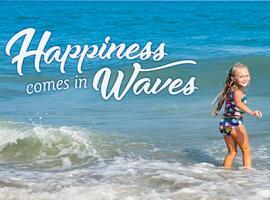 · Ocean Reef Resort – Enjoy 25 percent off of your summer getaway to this seaside resort with a water park. Valid June 15 - July 31, 2018. · The Strand – Save this summer with 25 percent of stays June 15 through August 11, 2018 and a free hot breakfast included daily. 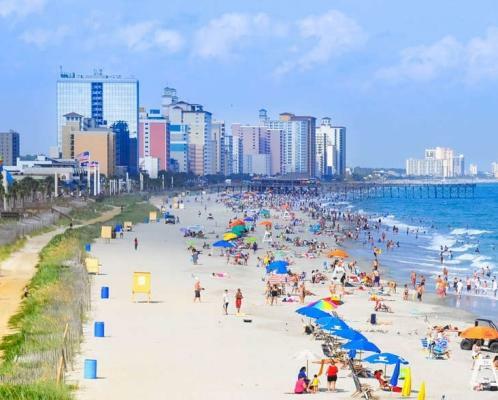 · Vacation Myrtle Beach Resorts – Pay for a two night stay this summer and get a third night for free at the family-friendly Carolina Winds, Forest Dunes or Landmark Resorts. Valid June 1 – July 31, 2018. · Cap’n Rod’s Low Country Tours – Save $2 per ticket in June and July 2018. 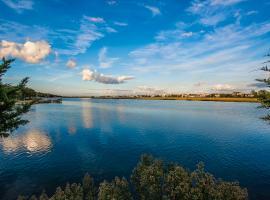 Tours showcase wildlife and unspoiled views of nature. · Crab Daddy’s Calabash Seafood Buffet – Enjoy discounts on the delicious adult buffet with special deals throughout the day. · The Carolina Opry – Purchase tickets to The Carolina Opry Show and add tickets to Thunder & Light or Pure Magic for as low as $15 plus tax (must be booked via phone or at box office: 800-843-6779). · Rockin’ Jump Myrtle Beach – Experience After Dark Saturdays and Neon Nights on Friday’s from 8-10 p.m. for exclusive jumping experiences. Each event is just $20 per jumper (normally $25 per jumper for two hours). · WonderWorks – Save $5 off All Access Admission or VIP Combo at WonderWorks after 5 p.m. from June 1, 2018 through July 31, 2018. 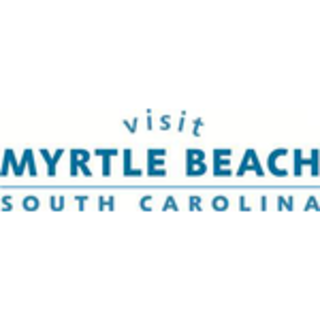 More information on how to book the exclusive deals and discounts available during Myrtle Beach Days can be found on the Myrtle Beach Days deals page.